Thinking About Buying? Be Glad, Very Glad It’s Not the 1980s! Rates Are Still Low!! Look closely at the graph above. 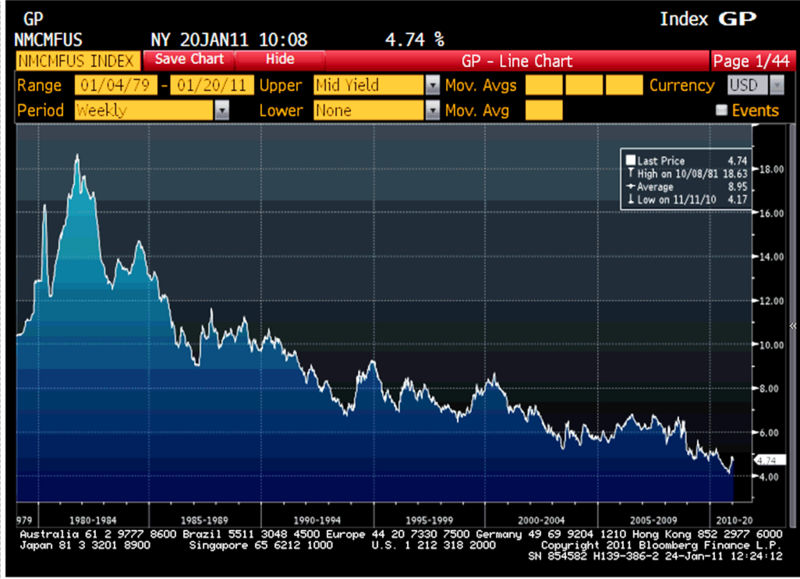 Notice when interest rates hit their peak between 1982 and 1984. That’s when I bought my first house, and believe it or not, when we sold it, we made money on it! My point is simple. Right now, rates are low, inventory is still abundant and prices are at the most affordable level in the last 7-10 years. When people are greedy, be fearful. When people are fearful, be greedy! Your time has come! This entry was posted in 2010 Mid Year Denver Market Watch, Buying or Selling Real Estate, Denver, Denver Housing, Denver Residential Real Estate, Interest Rates. Bookmark the permalink.